By way of introduction I'm not left nor right nor middle. Depends on the issue. Favor NPR and PBS. Read a broad variety from The Atlantic to WSJ. But really, really, enjoy design, cooking, art, and home oriented periodicals. Love the library. Am there 4-5 times a week. And the more I read here the more I wonder if this is good fit. I like libraries and books. I like librarians. I even used to date one. The TV series is just sort of eh. At least it gives John Larroquette something to do. I also like PBS and NPR. Also enjoy the Atlantic. 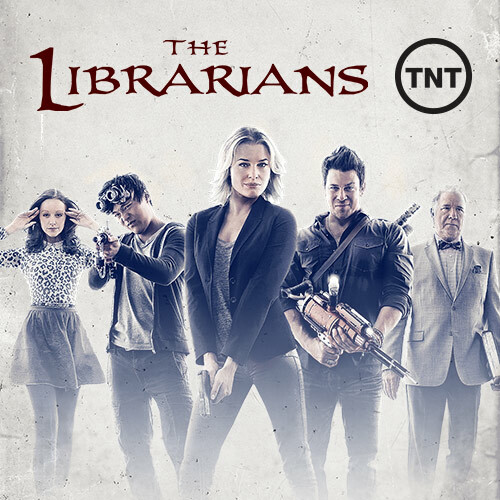 I liked the three Librarian tv movies with Noah Wyle as the "Librarian". Librarians are my favorites! Welcome! I've told people for years the most used card in my wallet is my library card. I usually read between 50 - 70 books a year and I check most of them out from the library. I love the feel of a book in my hands although I usually read a couple of the classics for free on my Kindle. Welcome to RFL, Librarian. Just don't tell us Shhhh! I used to date a fallen librarian. Libraries are nothing like they used to be. They're a center for public access and public technology. Some are really leaders in public discources. Books, per se, are (and have been since at least the 1980's) an increasingly small portion of what a library does. Theaters, tech and production centers, 'classic' and 'digital' literacy, citizenship centers, classes....some even have coffee shops inside. I spoke with one person who what working with libraries on how to service homeless patrons....very interesting as society changes. Yes and they have all manner of collections, now. Tool libraries, seed libraries...and this is just public libraries. Some of the stuff happening with academic libraries is boundary-breaking. Last year I was on a digital preservation software project that had some librarians on it. It really stands out as a career highlight for me. The nicest people on the project, too, were those librarians. Mrs. Bird is librarian as well as the physics teacher where she works. Kids take out books because several years ago she started getting in what they wanted to read. She has several databases she uses to help the kids with papers. She kept track of the number of visits made by kids. The first year it was 5000 total visits for the year for 4 grades. The year that ended before her back surgery she had 20,000 visits. And my mom was a librarian. I love the idea of the library. But honestly, the Milwaukee County electronic book catalog is so good, I never actually go there. I do legal research from my office, and download whatever I want to my tablet for personal reading. Rarely is something not available online from some library in the State, who all have reciprocity with Milwaukee (if not always with each other) since ours is the largest. Anyways, welcome. I'm curious as to how you found us, if you don't mind walking me through it. I mean that. Now that you have posted some where you drift in the current, "not left nor right nor middle," has become more apparent, I can see you will fit right in. You appear to be fitting into the current in a way which was not being adequately being filled before. It's the thing about discussions, without resistance there is little to discuss. Reading "oh ain't it awful" at every turn, followed by yup yup yup, over time it becomes pretty dog gone boring.